This article comprises our recommended list of the best cultural shows in Hanoi, certains sont pas un secret du tout comme ils sont bien notés par les experts, public international et local. I will also mention their unique way of expressions, time, place and price as well. Let’s get to it !! Làng tôi (My village) is a delicate combination of tradition and innovation, where poetic beauty of Northern Vietnamese village’s life is presented under new circle approach. The iconic bamboo, breathtaking cirque and acrobatics are in the perfect harmony with exotic folklore instruments. From these, traditional activities and lifestyle of indigenous villagers are recreated vividly on the stage. Prix: De $30 – $90 depending on the type of seats. Tứ Phủ (Four Palaces) is the typical example of the Vietnamese belief in the worships of Mother Goddess. Devoted to four female deities of the nature: Mother Goddess of Heaven, Forest, Water, and Earth, this belief was established in the 16th century as an alternative to Confucianism. The Four Palaces show portrays the rituals of spiritual possession, in which the mediums will wear elaborate costumes, make offerings to the goddesses, perform folk dances, and pray the spirits to descend and possess their bodies. The mediums believe that these rituals will bless them with health, happiness and good luck. Following each chapter of the ceremonies, the show will bring you to different level of emotions, gradually heighten to the final chapter. 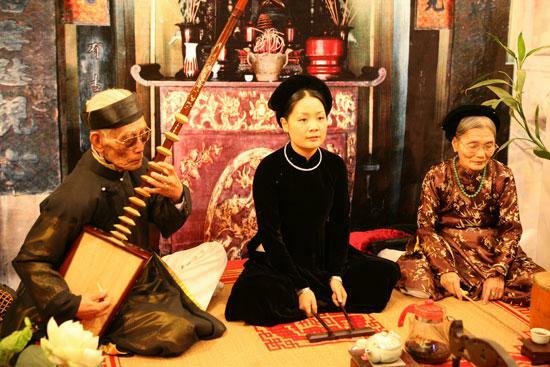 Vividly and honestly performed rituals, traditional folk melodies, evocative singing all harmonize to bring the audience a rich sensory experience. Prix: Type A – $12.95, type B – $10.50. “Even if you don’t deeply understand everything, you will be transported into the rich and intriguing culture of Vietnam, and come away moved. Experience this excellent show to feel more deeply about Vietnam. The only disappointing thing was the small size of the audience. Thank you to all the performers and creative artists involved for a mesmerizing show!» quoted a reviewer on Tripadvisor. 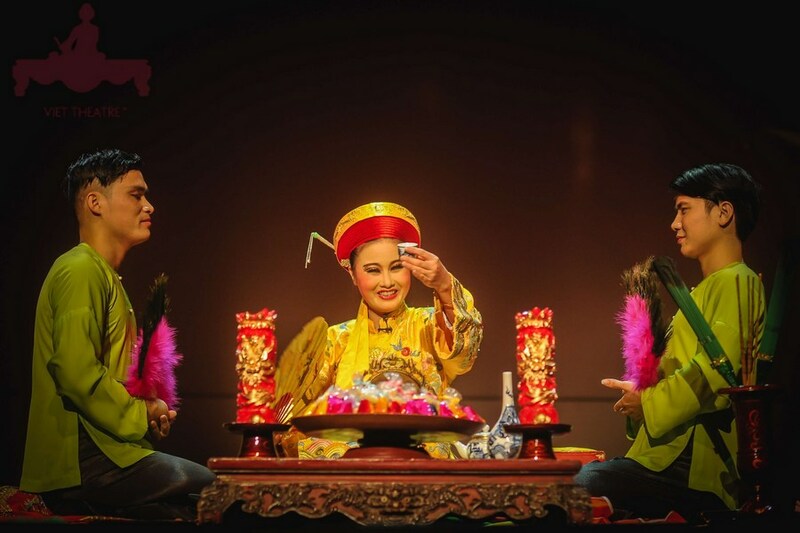 Considered the Cirque du Soleil of Vietnam, Ionah (“Hanoi” spelled backwards) is where the old fairy tales are restaged by modern theater arts. The show blends perfectly the arts of circus, visual arts, hip hop and belly dance into multi performances in its 90-minute period. The show’s novelty lies in its advanced stage effects and colorful costumes, adding volume to the so-called wonder-world journey. Place: Star galaxy 87 Lang Ha, with free round-trip transfer service from the Old Quarter. Prix: $32 (Silver); $41 Gold). Compared to other shows in Hanoi, the bonus point of Ionah is the interaction between performers and audience throughout the show. 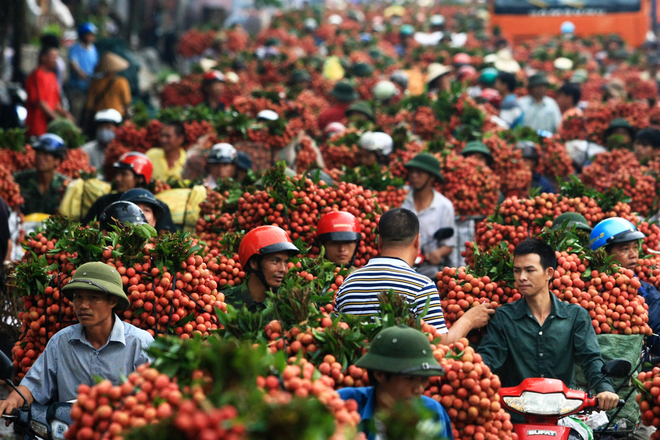 Tonkin is the historic name for the agricultural region around Red River Delta, North Vietnam. The village life and farming culture here has been the inspiration for Quintessence of Tonkin, a contemporary show aiming to celebrate the history and heritage of Tonkin. Defined by stunning water stage, 3D visual effects, authentic costumes, live music, co-ordinated choreography, this show has been able to reconstruct and recapture the most compelling elements of Vietnamese village life, from folklore, la musique, poetry to water puppetry, Buddhism. Among over 200 performers, over a half of which are the farmers of village nearby. They have been received training for over 2 year, and bring their soul from their own traditional entertainment to the performance stage. Who can tell the story of Tonkin better than the villagers themselves? You probably have heard of this show, it has gained much popularity in the world. toutefois, compared to watching somewhere else, enjoy water puppet show right in the heart of its homeland will bring you a truly Vietnamese cultural experience, and of course, a more affordable one. Legend has it that, this show was born out of the social life of villagers in Northern Vietnam from around 1000 il y a des années. toutefois, the heart of the show has not changed much: its themes and stage setting. The stage still keeps a frugal appearance with old pavillion in the middle of a shallow pond – which developed from the waist-deep water stage of harvested paddies. pendant ce temps, the theme still centrals around rural Vietnamese traditions like fishing, rice harvesting, planting and traditional tales and legends. Watching one of these shows, you will get to not only observe the life of people, but also enjoy the artistic side of these farmers – puppeteers. Flawlessly moving puppets controlled by master hidden behind the curtains, composition of traditional musical instruments and amazing vocalists create what people call a “symphony” of traditional Vietnam. 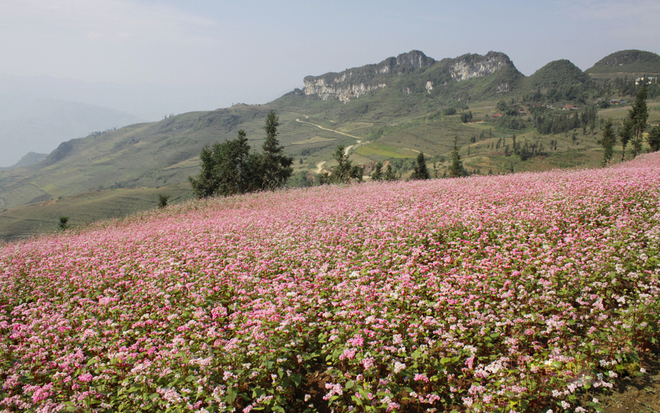 All adds up to one hour where you can learn intriguing cultures of the agricultural land of Vietnam, joyfully. Time: Usually 4 daily shows in late afternoon and evening. Place: Either Lotus Water Puppet or Thang Long Water Puppet Theatre is lovely. Other note: As the puppets & stage are quite small, you should choose closer seats for the best view. So that is the 5 la plupart des spectacles perspicaces et divertissants à Hanoi. If you want a full day of exploration in this capital city, continue to see more Hanoi tours or cultural tours with Eviva.